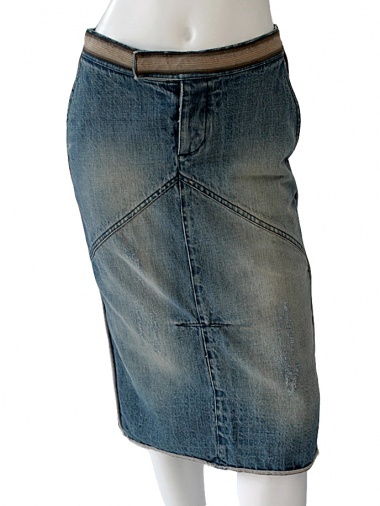 Denim Skirt 100% Cotton by Angelos-Frentzos - Clothing Women Skirts On Sale. Jeans skirt treated by sandblasting and tears. Tip cut on the front, oblique back, slit at the bottom. Ribbon applied on the waist and on the borders of the pockets.